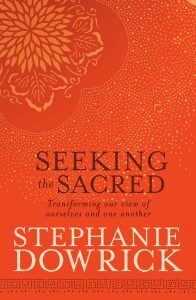 Taking transformation as her theme, in this short video Stephanie Dowrick speaks about finding a sustaining recognition of who and what we are. Once again, she draws on a brief teaching from Sufi master Hazrat Inayat Khan and also a powerful, radiant story from the Christian tradition (Acts 3. 1-8). These talks emphasize a rare spiritual inclusivity and encouragement. This talk comes from the Interfaith Service at Pitt Street Uniting Church, Sydney, 15 May 2011.